How Do RFID Contactless Payments Work? Twenty years ago, we all used cash. Ten years ago, we all used Chip & PIN. Now, we use contactless bank cards and mobile phones. But in October 2018, contactless payments officially overtook Chip & PIN payments, making it the most popular payment method for in-store card transactions. Every month, customers pay over £4 billion via contactless cards. Most card networks now offer contactless cards, including EMV (Europay, Visa, Mastercard) and American Express. Contactless payments really took over when fast food retailers and the tube in London rolled out contactless-enabled terminals. However, despite the meteoric uptake in contactless cards, there’s still some confusion surrounding what contactless is, how it works and what it costs the customer/merchant. In this article, I’ll take an in-depth look at contactless technology and the concerns around it. Let’s get started. All contactless debit card and contactless credit cards have a small microchip inside them that’s capable of emitting radio waves. The antenna and chip are both built into the plastic to keep them safe and secure. The technology is called radio frequency identification or RFID and is used in a bunch of other products like security tags, smartwatches security fobs and so on. To pay for something with a contactless payment card, the customer holds their card near to the card reader so the card reader can communicate with the card’s microchip. The card reader then sends the card the transaction details, the card sends back the payment details and then the merchant’s payment processor processes the payment. Obviously, this is a significantly simplified version. Here’s the more expanded series of events. The amazing thing is that the entire process happens in the blink of an eye, cutting down the time it takes a customer to pay for something to just one or two seconds. Also note that contactless cards and smartphone payments (e.g. Apple Pay, Samsung Pay and Google/Android Pay) are not the same. Smartphone payments use something called near-field communication or NFC, which is based on the same technology as RFID but works in a slightly different way. 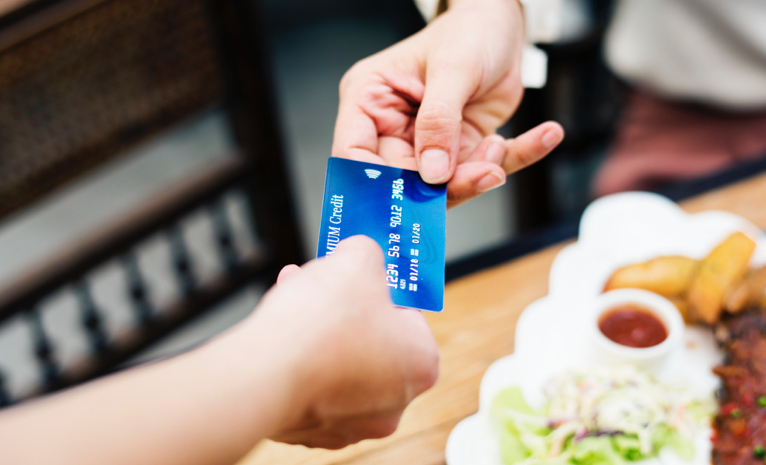 Do Contactless Payments Cost Merchants More? Merchants are used to being charged more for anything other than basic Chip & PIN transactions so they’re usually surprised to hear that contactless transactions don’t incur an extra charge. In fact, contactless payments can actually save merchants money as they are completed much quicker than regular Chip & PIN payments, which allows merchants to serve customers quicker. Contactless payments are especially effective for merchants with low average transaction values and high transaction volumes. I strongly recommend merchants adopt contactless options. It’s becoming more and could actually be the difference between a customer walking away or completing a transaction. From the moment contactless cards were introduced in 2007, people have worried about security. After all, Chip & PIN was pitched as a more secure alternative to signatures and contactless technology removes that as a verification checks. However, even with the rapid adoption rate, contactless payment card fraud is relatively low. There are a few things to think about regarding contactless card security. First, what happens when someone steals your card? All contactless cards have a £30 maximum spend per transaction so it’s not as if fraudsters can buy a new car or holiday with your cash. On top of that, some providers have maximum limits per day, which curtails the damage someone can do with just contactless payments. Also if someone steals your card, it’s much more likely they will use it for online purchases as these do not come with the same transaction limits. Whether or not a card is contactless has no impact on online transactions. If your card is stolen and money is taken without your permission, the Payment Services Regulations obligate your bank to refund you. Some banks require you to cover the first £50 taken from your bank account before you report your card as lost or stolen but this is often waived. Second, can fraudsters press a card reader against your wallet or purse and steal money without your knowledge? Technically, the answer is yes but there’s a number of reasons why this doesn’t happen. Another is something called card clash. This occurs when multiple cards are placed near a card reader and it stops the reader from processing payments. So a fraudster could only steal money from your card if it was the only card in your wallet or purse. The signal is also blocked by metal so many wallets and purse manufacturers are actually including RFID-blocking strips in their design. However, with all that said, contactless fraud is rising and it pays to be vigilant. If you’re new to the world of contactless cards, you might be wondering how they work. Well, help is at hand! When you first receive your contactless card, you can’t use it straight away. Instead, you have to activate it by completing a Chip & PIN transaction. This is an extra security measure, which stops people from intercepting your cards and using them without your permission. Once it’s activated, the process is simple. Look for the contactless symbol on checkouts. Touch your contactless debit card or contactless credit card against the payment terminal. Wait until the green light shows or the reader emits a beep to indicate the transaction is complete. Once your transaction is complete, remove your card from the reader and take your receipt. 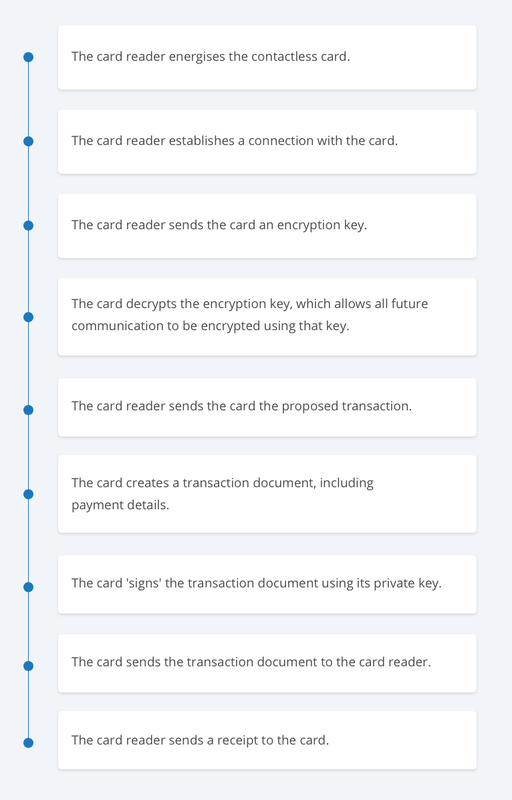 How Do Card Payments Work?